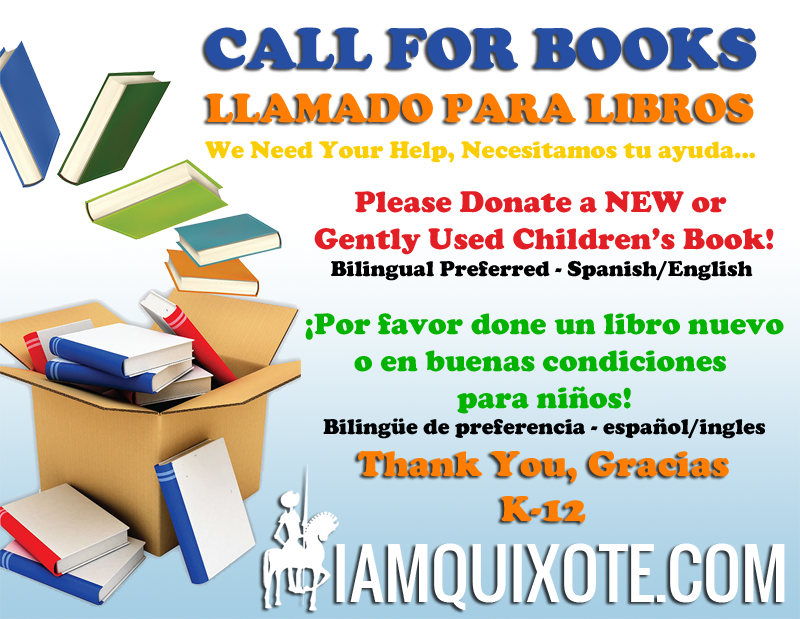 Please help us… Donate a NEW or Gently Used Children’s Book! Bilingual Preferred – Spanish/English. But we will be so appreciative of recieving in any language. Pero estaremos tan agradecidos de recibir en cualquier idioma.